Hello everyone! Whoa has it been another busy time and there are still two moves and two graduations to come! 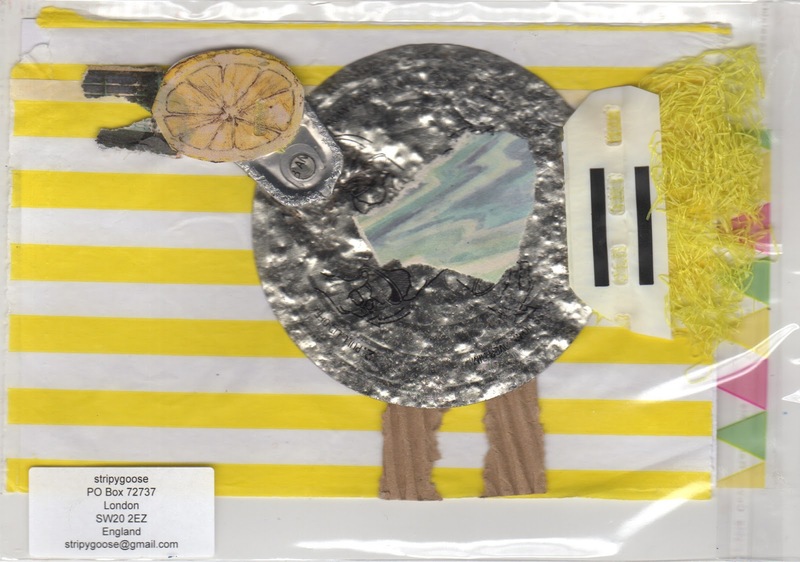 But here I am with a minute between demands and so it's with great pleasure that I return to the mailart fold with trashpo wonderfulness from Stripygoose. 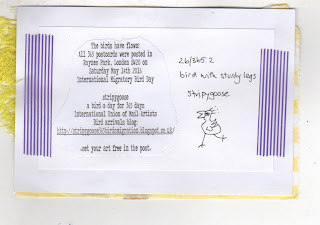 I didn't get a postmark, just a scribble through the stamp but I'm going to believe it was posted on the 14th with all the other birds, International Migratory Bird Day. Wow, that's a lot of postage! 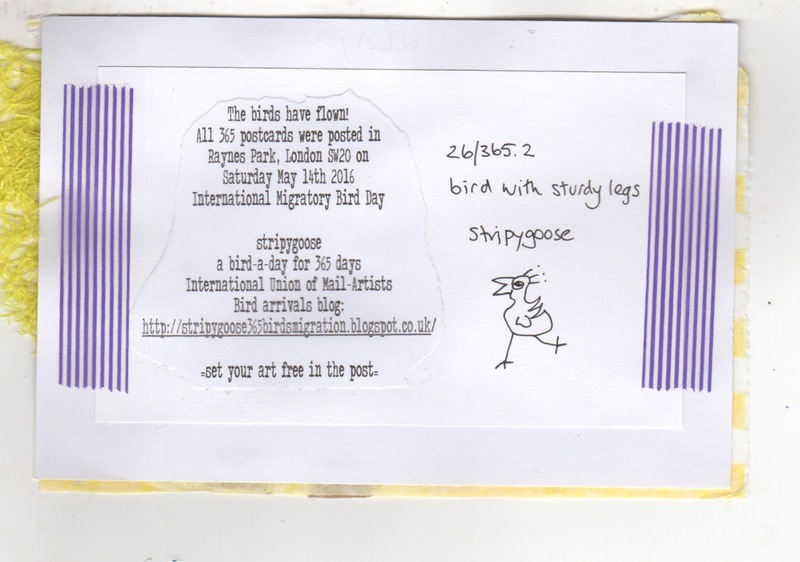 Thanks so much, Stripygoose. I am so behind that I won't promise a thing, but I still have something half done for you that I keep moving from one pile to another.